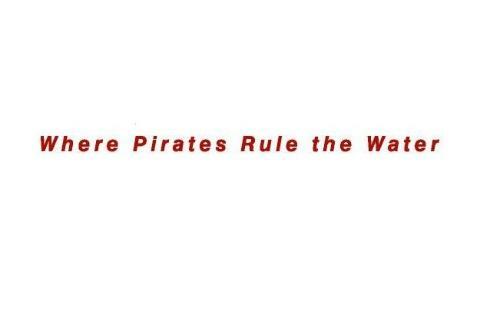 The Pinckney Aquatic Club (PAC) is a member of the Southern Michigan Swim League (SMSL) and USA Swimming (USAS). 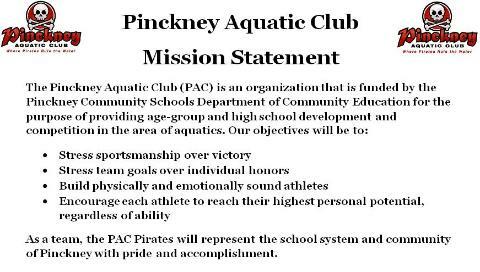 The Pinckney Aquatic Club is a competitive swim program. Meets are mandatory per the coaches' discretion. We will participate in five SMSL dual meets and one championship meet each fall and winter season. During the spring season, there will be several fun meets with local teams. In addition, for those participating in the USAS program, there will be two scheduled USAS meets per season. 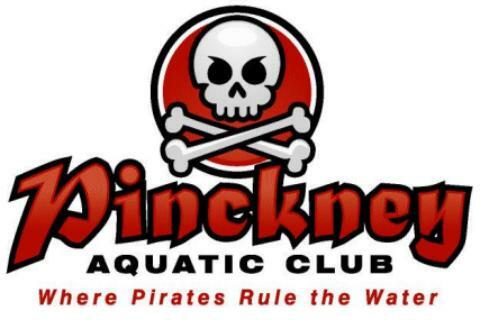 The focus of the Pinckney Aquatic Club is to develop stroke form, improve times, and have fun. All swimmers between the ages of 4 and 18 years old are welcome.